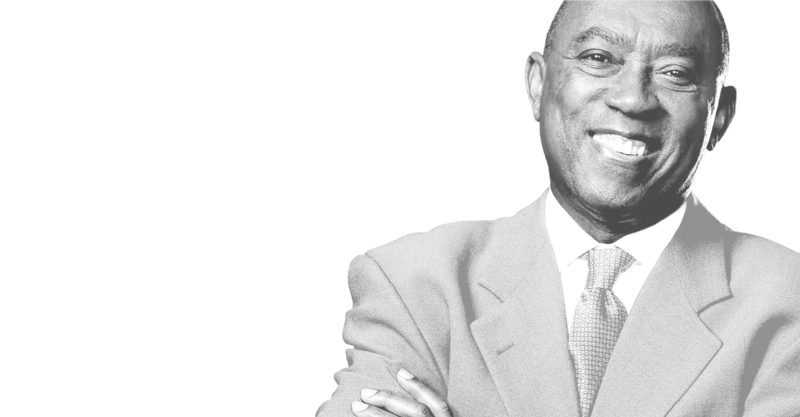 On Dec. 12, 2015, Sylvester Turner realized his dream of being elected mayor of the city of Houston. The proud Houstonian and veteran legislator is the second African-American to lead the nation’s fourth largest city. He also is a devoted University of Houston Cougar, who credits much of his success to the lessons learned at the University. Among those lessons was a near “crash” course in driving. Turner expanded on that extracurricular driver’s education tale with UH Magazine, as well as other memories from his time on campus. Born in 1954, Turner was raised in Houston’s Acres Homes neighborhood. As one of nine children in a two-bedroom house, he worked hard to help support his family. Likewise, he excelled academically, becoming Klein High School’s student body president and valedictorian. His good grades led him to the University of Houston, where he honed his talents as a public speaker and political leader. Turner’s time at UH prepared him for Harvard Law School. After earning his juris doctor in 1980, Turner returned to Houston to practice law with Fulbright & Jaworski. In 1983, he co-founded the law firm Barnes & Turner. From 1989 to 2016, Turner represented District 139 in the Texas House of Representatives. In January, Turner took office, and it’s been full steam ahead at City Hall. Although he maintains a full schedule, Turner took time to share his insights on the city, the University and UH’s chances against the Oklahoma Sooners in the football season opener. UH MAGAZINE: How did your experiences at UH prepare you for civic leadership? SYLVESTER TURNER: I was on the debate team at UH during my freshman and sophomore years. During my last two years on campus, I served as the speaker of the Student Senate. I was very active and sharpened my political skills on campus. And I studied at UH’s political science department with great professors, including Harrell Rodgers and Robert Carp. They were the professors who convinced me to attend Harvard Law School. 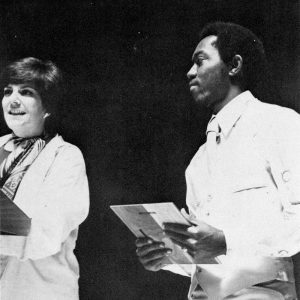 Sylvester Turner receiving an award for Outstanding Contribution to Campus Activities in 1977. UH MAGAZINE: How do you view UH’s role in the community? TURNER: When I was attending UH, the perception was “Cougar High.” That perception has been dismissed. Its campus sits in the heart of the Third Ward, and I know the University works closely with neighborhood groups including the Wheeler Ave. Baptist Church. UH has been a vital part in the development of the Third Ward area. UH MAGAZINE: Beyond the Third Ward, how does the University enhance the city of Houston? TURNER: The city and University are intertwined. UH is a Tier One institution, and the city needs that to help propel it forward. This is the fourth largest city in the country, so having an institution of this caliber is an asset. UH MAGAZINE: What are some of your fondest memories of attending UH? TURNER: I loved being in the Debate Program. I debated in high school and did very well. One of my fondest memories was that I learned how to drive at UH. I came from a family that did not have transportation. UH was hosting a national debate tournament, and teams were flying into town from across the country. My debate coach, Bill Henderson, handed me his car keys and asked me to pick up some University of Chicago students from the airport. He just put the keys in my hand and took off. Coach Henderson was always high energy and walked away without asking me if I could drive. I also enjoyed my time as the speaker of the Student Senate and living on the third floor of Moody Towers. I lived on the same floor as the athletes, including former basketball star Otis Birdsong. 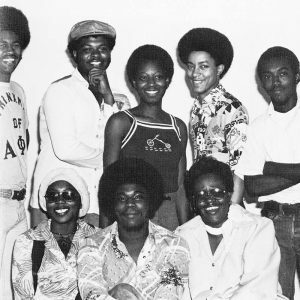 Sylvester Turner (back row, right) with fellow students of The Black Student Union. They served to orient black students to UH campus life. UH MAGAZINE: You’ve seen both the city and University grow and change dramatically. Do you feel that UH is a reflection of Houston? TURNER: The city is soon to become the third largest city in America and is one of the country’s most diverse cities. UH is growing as well and also highly diverse. Both the city and UH are on an upward trajectory. As I mentioned earlier, they are interrelated. I believe the best days for the city and the University are still ahead. UH MAGAZINE: You mentioned the diversity in Houston. What else makes this a special city? TURNER: Houston has many great things going for it. It hosts the iconic Houston Livestock Show and Rodeo. We’re also an oil and gas town and home to the Texas Medical Center. Houston also has world-class arts that make it very unique. And, we have all of the great universities, including UH, right here in our city. There are so many things in Houston. I tell visitors that they can visit our city and literally travel the globe. It’s the same way at UH. Academics, arts, sciences, research and athletics are all doing very well. When you look at both Houston and UH, you see that fabric – that quilt that exists – and they are both maturing and growing. UH MAGAZINE: Athletics is definitely a pride point for UH right now considering the Cougar football team’s great 2015 season. Do you have your 2016 season tickets yet? TURNER: I will be at the first game against Oklahoma. It should be a sell out at NRG Stadium considering what UH did this past season. For the Cougars to start out the season against a powerhouse like Oklahoma speaks to how far the program has come. We’ll win that one easily then move on. In this first game, I think we’ll win by 14 or possibly 21 points. Then, we’ll look for some stiffer competition. UH MAGAZINE: Do you have advice for current UH students? TURNER: Take advantage of everything the University has to offer. When I walk the campus, everything looks first class. The library looks great and so does the new Student Center. The Hilton is also great.